As part of our commitment to developing campus leaders in the state of Texas, Raise Your Hand Texas is offering executive coaching opportunities to Central Texas principals, in partnership with the International Center for Leadership in Education (ICLE) and E3 Alliance. The coaching utilizes the E3 Alliance-powered RAISEup Texas program. During this program, executive coaches help principals become more deliberate in building systems, structures, and protocols to heighten student achievement. Participating principals gain exposure to a process called the ICLE Collaborative Instructional Review which focuses on rigor, relevance, and learner engagement. Meeting with a coach throughout the year empowers principals with the skills and knowledge required to be impactful organizational and instructional leaders. They will be prepared to collaboratively identify observable indicators and turn data into actionable dialogue and plans to maximize rigor and relevance of everyday learning for all students. Coaches work directly with school leaders through a combination of onsite meetings, monthly webinars, and professional development resources. The principals will form a professional learning community with one another to focus their coaching experience on the implementation of the RAISEup Texas model at their schools. They will collaborate with and learn from one another throughout the year. Principals were vetted by Raise Your Hand to assess their capacity to lead transformational change, their commitment to the change management process, their school readiness, and the level of support from their administrations. 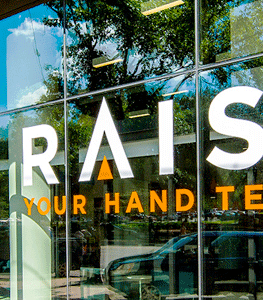 Participating in the Raise Your Hand Texas Harvard Leadership Program, Leadership Symposiums, and the E3 Alliance Executive Coaching program have been transformative. The knowledge and tools that I have acquired through these experiences have positively impacted teaching and learning at my campus, leading to improved student outcomes and school culture.